Join the Health Care Council to discuss Bioscience Los Angeles County (BioLA) with L.A. County Supervisor Mark Ridley-Thomas. BioLA is a newly launched initiative created to accelerate the growth and development of the county's bioscience industry. Supervisor Ridley-Thomas led efforts to create BioLA, which will serve as an innovation catalyst and entrepreneurial hub for government, research institutions and private investors to accelerate startup activity and amplify economic opportunity. 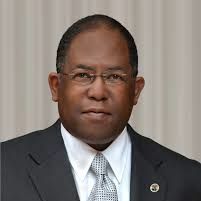 Ridley-Thomas hopes to utilize BioLA to boost the bioscience industry, and has approved funding for bioscience incubators at Cal State L.A. and at L.A. BioMed on the Harbor-UCLA Medical Campus. We will also brief the Council on our recent ACCESS Washington, D.C. advocacy trip and begin discussing legislation for our upcoming ACCESS Sacramento trip. The Health Care Council advocates for policies that ensure responsible health care reform implementation, strengthen our County's health care safety net and promote healthier lifestyles.